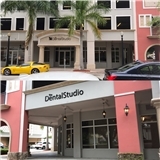 The Dental Studio (Coral Gables) - Book Appointment Online! Welcome to The Dental Studio! We are pleased you have chosen Dr. Maribel Carbia for your dental health care. Through a combination of continuing education, state of the art facilities and equipment, we are able to offer you and your family the high level of care you are looking for, in a pleasant and relaxed environment. Amazing service from top to bottom! Very professional and friendly. Also appreciated the peaceful music in the background... very calming.. like a spa!